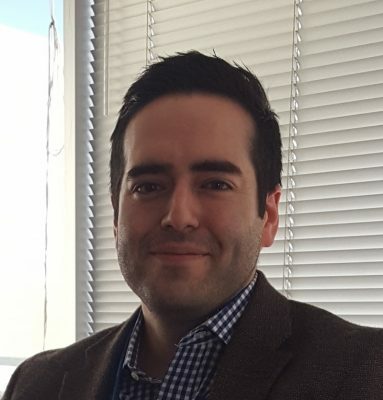 “The world changes quickly, if you’re not part of the discussion, you’re being told what to do rather than deciding on the course of action.” That’s what Dr. Armando Bedoya recognized when he decided to pursue the field of clinical informatics. Dr. Bedoya was the first fellow that piloted the Clinical Informatics Fellowship. The Master of Management in Clinical Informatics (MMCi) program is the educational component of the Fellowship. Since graduating from MMCi in 2017, Dr. Bedoya was selected as the first Medical Director for Duke’s Analytics Center of Excellence (ACE) team. Dr. Bedoya’s journey in clinical informatics started when he was Chief Resident in Internal Medicine and his program director mentioned he should look into this specialty. His research led him to look at an MBA or MMCi. Realizing his interests included technology, he decided MMCi provided the right blend of classes in business and informatics. In the past, Dr. Bedoya had heard physicians had to decide between managing patients, ideas or people. With his additional education from MMCi and the relationships he formed, he has been able to do all three. Dr. Bedoya has discovered his interactions and classes through MMCi provided the tools necessary to affect change and advance technology for both the School of Medicine and the patient. They established the basis for important questions, for example, the key tenets taught in Dr. Will Mitchell’s course, “should Duke build what they need, borrow or buy it?” Through Drs. Ferranti and Chung’s informatics courses, Dr. Bedoya learned the terminology and language to communicate and understand informatics. Now, he could not only speak “the language,” but it helped open doors for future career opportunities in informatics. In the next ten years, he wants to continue to work enterprise-wide on projects and be at the table where strategy is decided—who should we collaborate with—other health systems, academic medical centers, the government? But he will never give up clinical care. Being with patients keeps him grounded. He praised Duke University for encouraging physicians in management roles to continue to see patients. This culture ensures physicians stay close to patient care. The ability to work with large, abstract ideas to seeing patients one-on-one provides him the best of both worlds. In addition to being the first Medical Director for Duke’s Analytics Center of Excellence (ACE) team, piloting Duke’s Clinical Informatics Fellowship with the MMCi education component, Dr. Bedoya is board certified in pulmonology, critical care, and internal medicine and will be taking the Clinical Informatics Board Certification exam later this year.